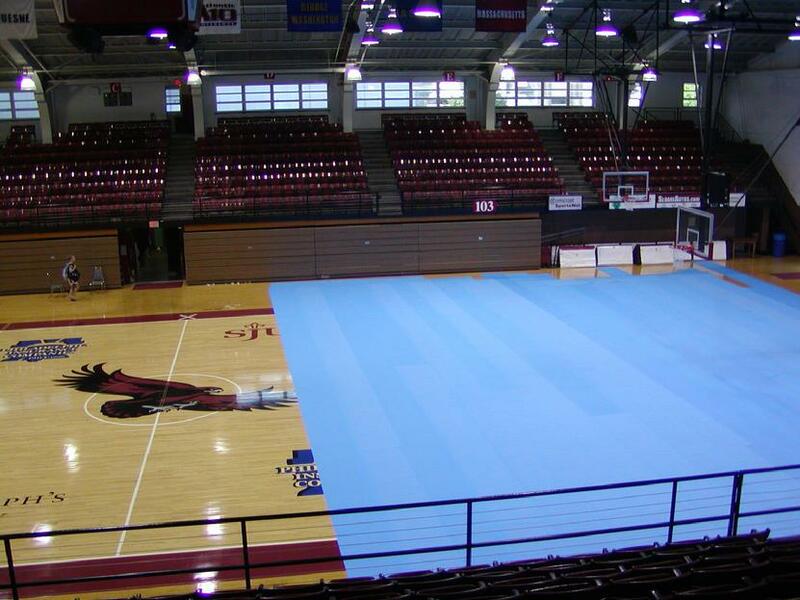 Saint Joseph's University in Philadelphia, PA used Finish Guard™ Heavy Duty Floor Protection Film to protect their wood gym floor during a reception, which was held in their main gym. 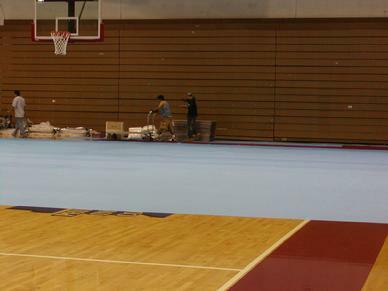 Finish Guard™ provided temporary protection to the finish of the wood gym floor during the reception. Finish Guard™ provides FLAME-RETARDANT and SLIP-RESISTANT protection to all types of wood flooring. 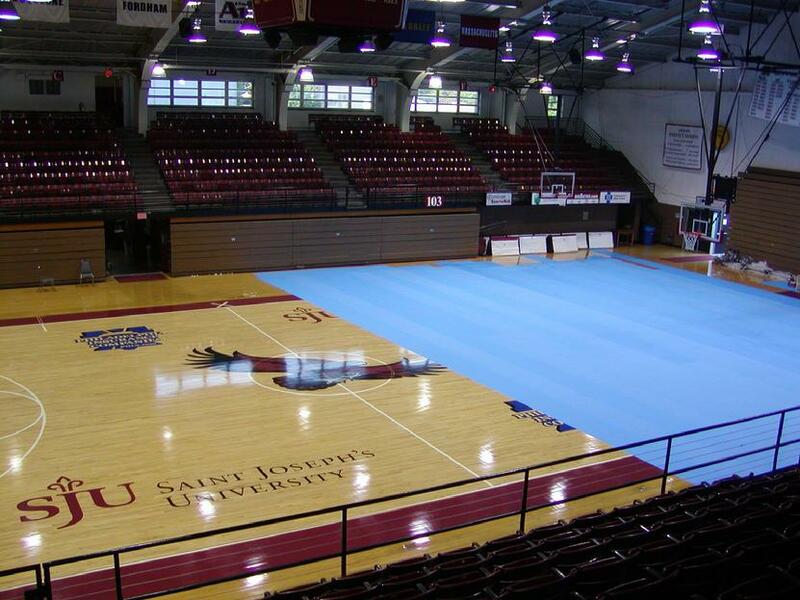 Finish Guard™ meets the requirements of Saint Joseph's University, an Atlantic 10 Conference member, for protecting their gym floor from damage. The gym floor is one of Saint Joseph's main assets. Shouldn't you be using Finish Guard™ to protect your assets?